This 5 STAGE RO water system comes will all parts in the photo. 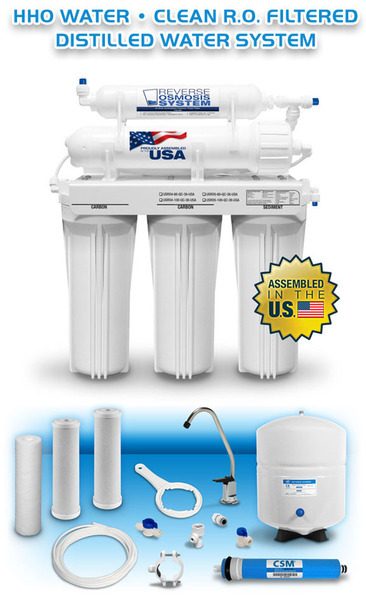 High Capacity Reverse Osmosis System includes the following: 100 Gallons Per Day (GPD) Thin Film Composite Membrane, NSF Certified Quick-Connect Fittings, NSF Certified Metal Bladder Tank, (2) NSF Certified 10 Micron Carbon Block, Inline GAC Post-filter, Standard Faucet, Tubing & Accessories. 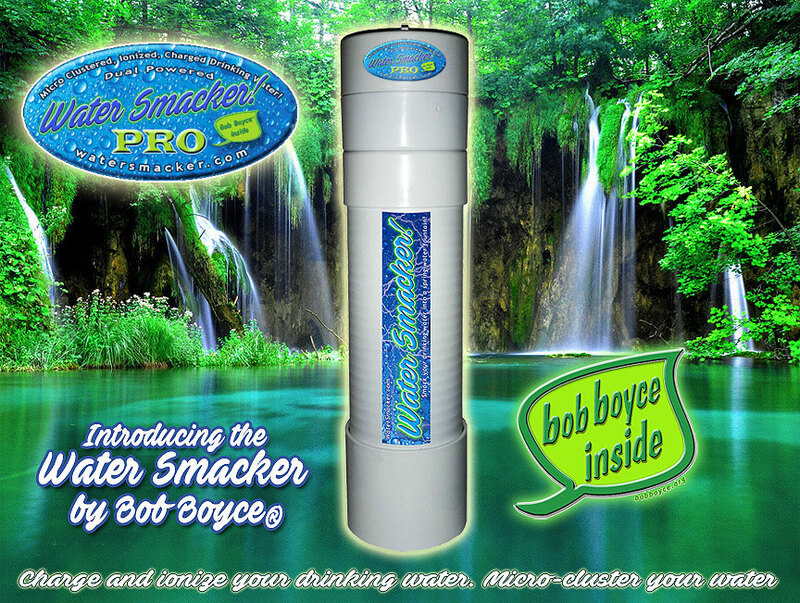 Stage 1 - 5 micron Sediment Filter • Removes dirt, sediments, sand, and other physical particles. Stage 2 - 1st Carbon Block • Reduces chemicals such as chlorine, that may be present in your water supply. Stage 3 - 2nd Carbon Block • Further reduces organics, odors, and other chemicals that might be present in your water supply. 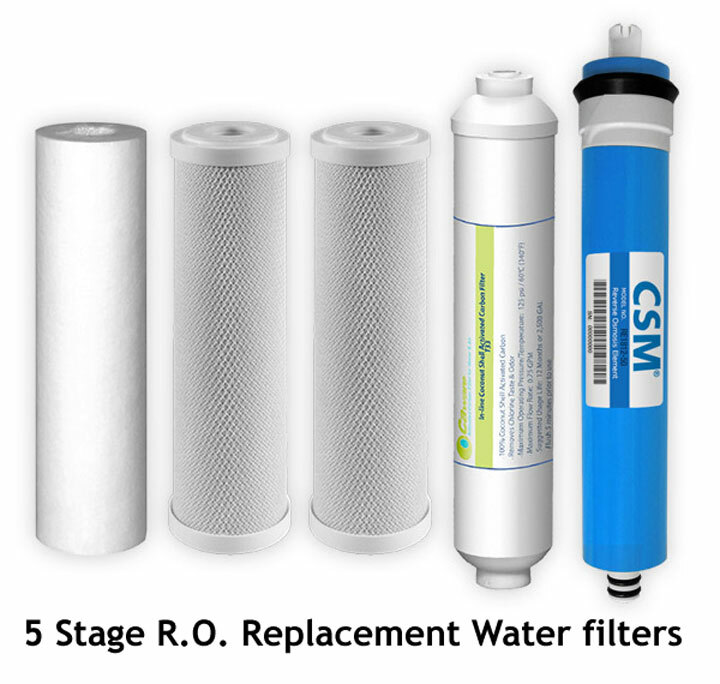 Stage 4 - Reverse Osmosis Membrane • 60 gallon per day membrane removes 93-97% of dissolved mineral salts and other contaminants in the water supply. 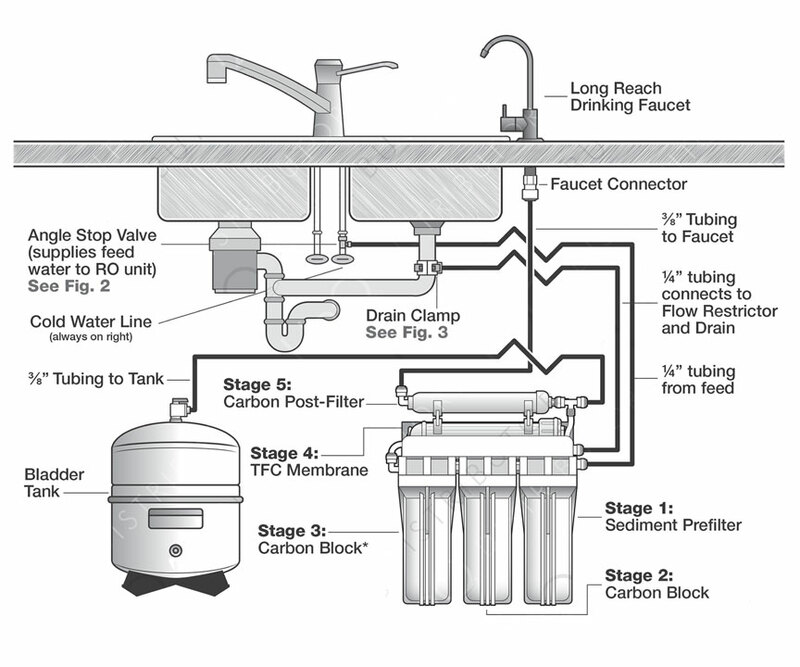 Stage 5 - Post Carbon Filter • A final polishing process that enhances and clarifies your drinking water. • US made , 5 STAGE RO WATER SYSREM features 3/8" Delivery Tubing and Fittings after Bladder Tank and through to faucet for increased flow of purified water. • (1) CSM® Membrane - 100 Gallons Per Day NSF Certified Thin Film Composite Membrane produces pure water fast. Most RO's in stores have only 25 GPD membranes or less! Ours will refill your tank more than four times faster. • (1) Inline Activated Carbon Post Filter made with premium quality coconut shell activated carbon, it filters the water after the bladder, just before you drink it. • NSF Certified Quick-Connect Fittings & Polyethylene Tubing assure easy & secure connections without tools! • NSF Certified 3.2 Gallon Metal Bladder has all the water you'll need, available when you need it. The tank ball valve is included. • Lead Free Faucet (CA Prop 65 Approved) dispenses RO purified water for all your needs. • All Installation Parts & Easy-off Housing Wrench make installation and maintenance a breeze. • Automatic Shut-Off Valve eliminates waste by closing the feed line when the tank is full. Quick view of the install under the kitchen sink. 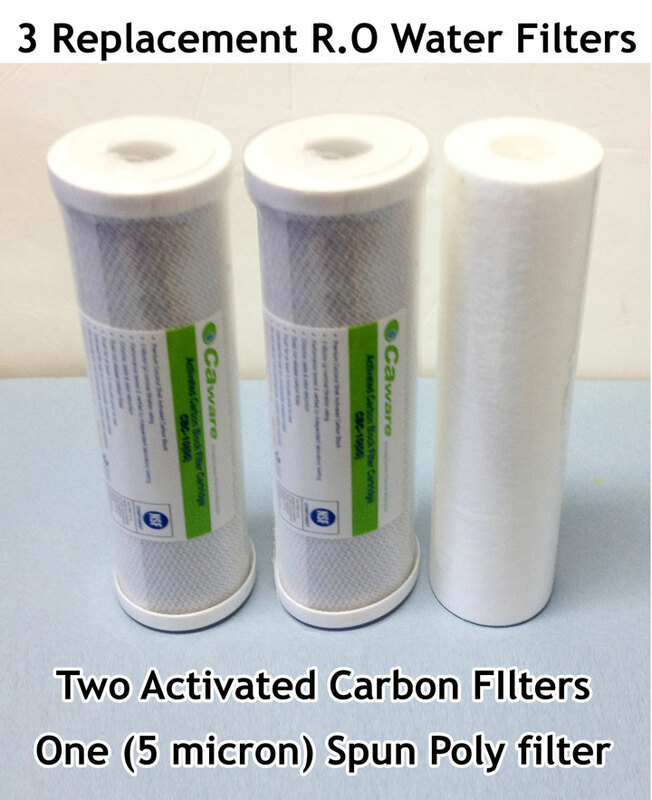 Replacement Filter set of Three filters only $20 Compared to Sears Kenmore charges $90 for one carbon filter. Full 5 Stage replacement filters ( all 5 filters) go here.